A recent litigation judgement should serve as a wake-up call to RICS surveyors who are at risk of failing to notice Japanese knotweed on any properties they are surveying. In the case of Ryb v Conways Chartered Surveyors , an experienced and qualified RICS surveyor was found to have been negligent in failing to identify Japanese knotweed at a property in north London. Phlorum provided the expert witness services to the claimant on the Japanese knotweed issues in the case. We were appointed by specialist knotweed litigation firm Charles Lyndon. The surveyor was described in the judgement as being of the “old school”, relying on his significant experience but failing to keep up with the latest guidance and trends in property risk caused by knotweed. He received criticism from the judge for not taking any photographs or measurements to back up the findings of his survey and he only took relatively brief, hand-written notes that didn’t support his defence. He was therefore lacking any robust evidence to support his claim that a stand of mature knotweed located in one corner of the property was not clearly obvious to him. 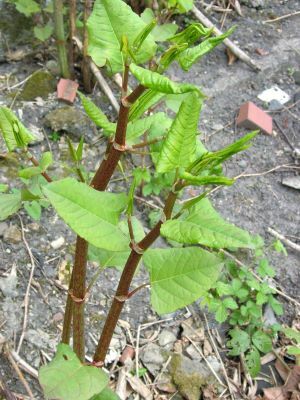 It was the claimant’s case that he had appointed the defendant to carry out a survey of the property in order to identify any property risks or defects, and that as such, the defendant should have spotted the knotweed, which was growing in a further two areas. The claimant also said that had he known that the property was affected by knotweed he would have either not bought it or would have at least sought to have had the sale price reduced, commensurate with the effect the knotweed caused to the property’s value. Subsequent damages of £50,000 for the loss in value of the property were awarded to the claimant. collecting appropriate evidence from each survey to back up their findings (i.e. proper notes and effective photographs). If you would like to know more about Japanese Knotweed legislation and how we can provide expert witness services, there is a wealth of information on our Knotweed legislation page.